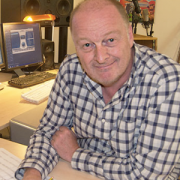 Master’s graduate, college lecturer, composer and orchestrator Sean Turner from Minnesota USA has just finished his MA in Orchestration for Film Games and Television. He joined us last month in Los Angeles for the first ThinkSpace Scoring Session at Warner Bros with a 63 piece orchestra. See how he got on! ThinkSpace: So as an educator, what is your job exactly? 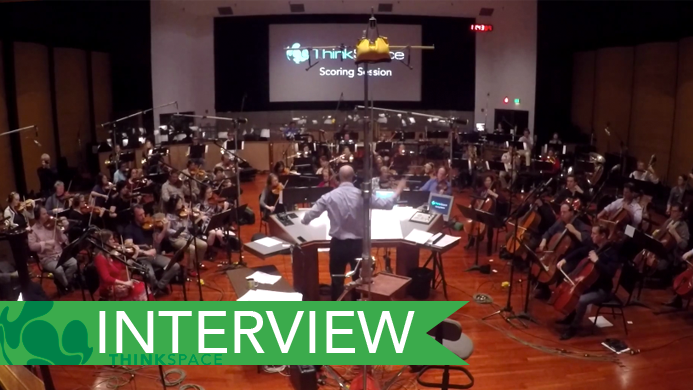 ThinkSpace: As a college teacher why did you decide to do a master’s in film orchestration? ST: I wanted to advance my credentials and expand my expertise into new areas to provide a wider contemporary knowledge base for myself and my students. ThinkSpace: How does it help you professionally in your day job? ST: Pursuing and achieving an advanced degree shows a commitment to employers as well as students that you are focused on achieving higher levels personal and professional growth. By broadening your knowledge base you are able to provide your students a more diverse and meaningful learning experience. ThinkSpace: How did studying online work out? ST: Studying online allowed me to plan the required work around my professional and personal daily commitments. Due to a hectic, and at times, unpredictable professional and personal schedule, I was able to adjust my work flow to accommodate the deadlines of assignments and stay on track. This would have been impossible in a traditional brick and mortar setting. ThinkSpace: You teach at a US college and study with a UK based school, How did that work out? ST: The critical factor for me in pursuing an advanced degree in the US from a UK based school was accreditation. Thinkspace’s affiliation with The University of Chichester allows US based educators to achieve an accredited advanced degree in an exciting and emerging field that will uphold all standards in our home country. ThinkSpace: You’ve just finished – congratulations! What do you think you got out of it? ST: Writing orchestral music for film was something I had dreamt about for many years. I had dabbled on my own for a long time gathering bits of information from various books, blogs, videos and attempted take-downs. When the opportunity presented itself to enroll in the MA, it allowed me to learn from the combined wisdom of many world class media composers who were currently writing and interacting with orchestras at the highest levels. Experiential learning through real world projects, tutoring by proven industry professionals, and ultimately the opportunity to conduct my pieces in front of a live orchestra was a dream come true! If you enjoyed this, why not check out our Postgraduate Courses? ?